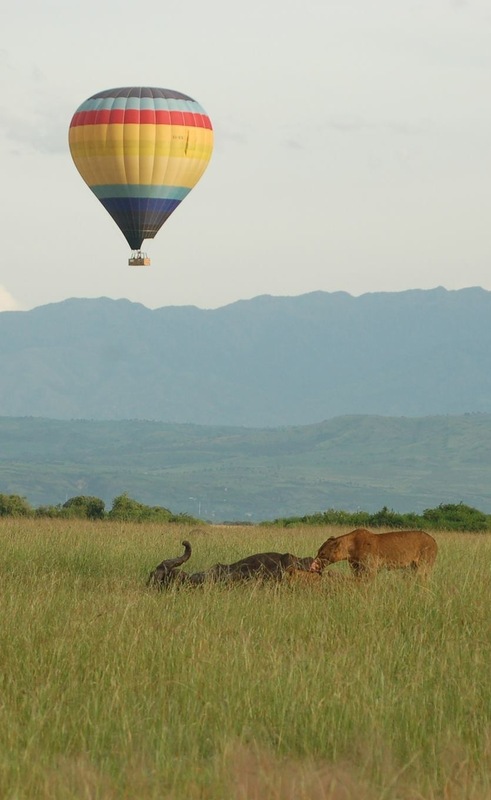 Touring Uganda just got better, from game viewing on the ground to the Air with the recently launched Hot Air Ballooning tours in Queen Elizabeth National Park ‘the medley of wonders’. It’s yet a whole new way of surfing and enjoying one of Uganda’s wildernesses. Hot air balloon is by far worth trying, because you get a chance to surf the whole park from on-high silently wandering away to the direction and speed of the wind as you enjoy the serenity and panoramic view of the Lakes, Kazinga channel, herds of Elephants, Buffaloes and more game depending on the altitude. Hot Air Balloon tour is conducted early in the morning and easily blends with your Tour Uganda itinerary irrespective of the number of days you are to spend in the park. Meeting time for the Hot air balloon tour is 05.30 am, when the band of passengers, balloon, pilot and ground crew move to locate the right spot for takeoff after having the necessary weather test for wind direction, once the spot is located, the guests witness the unloading and assembling of the balloon as they are served with complimentary tea/coffee and refreshments. After a short while a cold inflation takes place followed by hot inflation, at this point is when the guests receive safety briefing prior to their wild and free flight. Hot Air Balloon flight takes close to one hour flying in different directions and altitudes guided by the wind, this is one of the most interesting part where guests explore the park from as high as 3000 Feet where they get to see the entire park and as low as of 50 Feet to see the different game. During the flight enjoy the stunning and authentic African sunrise, as you float by with chances of great photo moments. Your guide/ Park rangers and the entire ground crew follow the balloon all the way to the landing point, upon landing is always a celebration of sparkling non alcohol juice followed by a great breakfast in the wild/bush. 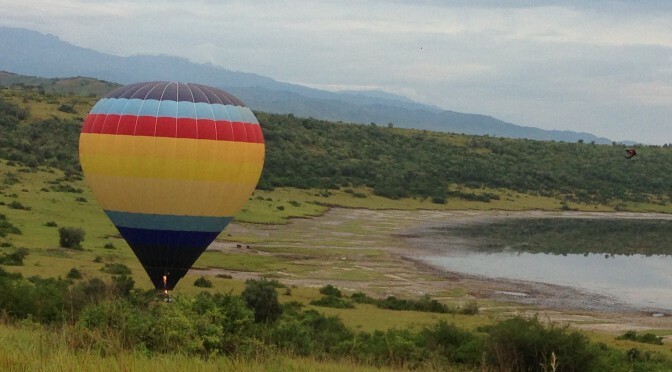 Hot Air Balloon tour is organized daily, with flights departing at 5:30am from the Kasenyi Area. The operations are handled by Balloon Tours Uganda Ltd a well accredited company and licensed by the Uganda Civil Aviation Authority, they pride in their 10years of experience in Egypt and Turkey. 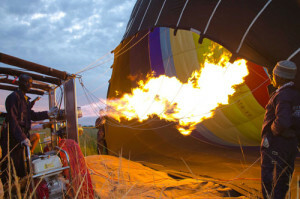 They currently have a 16 passenger balloon for the start and the first ever in Uganda. 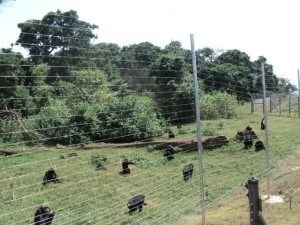 Queen Elizabeth National Park – “the Medley of wonders”: is one of the most popular tourist destination on a Uganda tour. The park’s diverse ecosystems, which include sprawling savanna, shady, humid forests, sparkling lakes and fertile wetlands, make it the ideal habitat for classic big game, ten primate species including chimpanzees and over 600 species of birds. Set against the backdrop of the jagged Rwenzori Mountains, the park’s magnificent vistas include dozens of enormous craters carved dramatically into rolling green hills, panoramic views of the Kazinga Channel with its banks lined with hippos, buffalo and elephants, and the endless Ishasha plains, whose fig trees hide lions ready to pounce on herds of unsuspecting Uganda kob. Big Game include: Big cats i.e lions, tree climbing lions, leopards, civet, genal and serval cats. About 5000 hippos, 2500 elephants and over 10,000 buffalo. 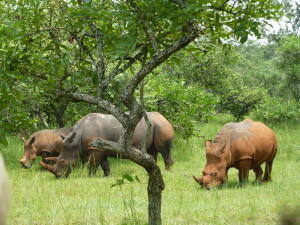 Other common herbivores include warthogs, waterbuck, Uganda kob and topi, as well as the sitatunga antelope. Primates: Ten species of primates enjoy i.e chimpanzees. Vervet and black-and-white colobus monkeys, baboons. Birding Watching best sites include; Kazinga Channel, Kasenyi Area, Mweya Peninsula, Maramagambo Forest, Ishasha Sector, Lake Kikorongo, Katunguru Bridge area and Katwe Area. 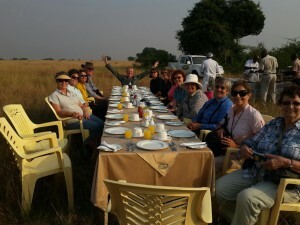 Experiential tourism activities like: Mongoose Tracking, Lion Tracking, Hippo Census, and Bird Counts. 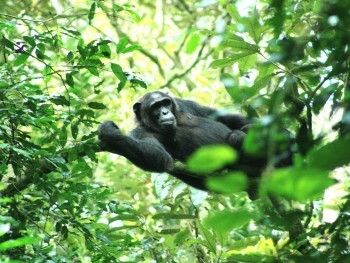 Chimp Tracking in Kyambura Gorge, teaching visitors about the ecosystems of Kyambura Gorge’s. Visit to the Caves tucked beneath the shady canopy of the Maramagambo Forest is the “Bat Cave”. For more information about Hot Air Balloon, tours to Uganda, or wish to book any of our tours please contact the Gorilla & East Africa Safari tour office.